Republicans House in S'arenal is a holiday home with 1 room. Providing free WiFi, Republicans House is set on the beachfront in El Arenal. Guests staying at this holiday home have access to a fully equipped kitc...hen. The holiday home features a TV. 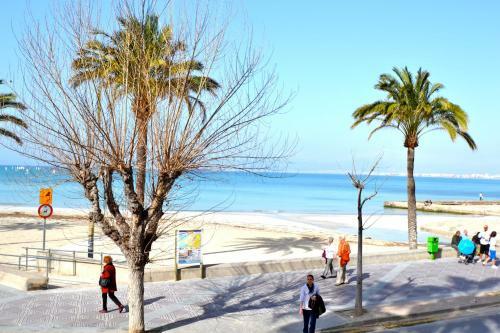 Palma de Mallorca is 12 km from the holiday home. The nearest airport is Palma de Mallorca Airport, 5 km from Republicans House. When would you like to stay at Republicans House? A damage deposit of EUR 800 is required on arrival. This will be collected as a cash payment. You should be reimbursed within 14 days of check-out. Your deposit will be refunded in full via bank transfer, subject to an inspection of the property. This property will not accommodate hen, stag or similar parties. Please note that there is a EUR 30 charge for late check-in starting from 20:00.